Dr. Jincai (Jimmy) Li is currently Vice President of WuXi Biologics. Dr. Li has over 17 years’ experience in Biologics process development, scale-up and cGMP manufacturing. His group contributed to over 40 IND submissions, both in and outside of China, as well as BLA submission works. Dr. Li joined WuXi Biologics in 2011, helped built and led the Cell Culture Process Development & pilot plant production group, and then managed the cGMP Drug Substance manufacturing facility. 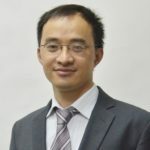 Before joining WuXi Biologics, Dr. Li was a cell culture process development Group Leader at Genentech Inc. Before that, Dr. Li also worked at Tanox, Inc, where he led the manufacturing sciences group supporting PhIII production of a mAb product, and at Diversa Corporation (now BASF), in charge of process development for multiple recombinant enzyme projects. Dr. Li holds B.S. degree from Tsinghua University, and Ph.D. degree from University of Maryland Baltimore County, majoring in Chemical and Biochemical Engineering.